20' strands, 10 bulbs spaced approximately 2' apart. 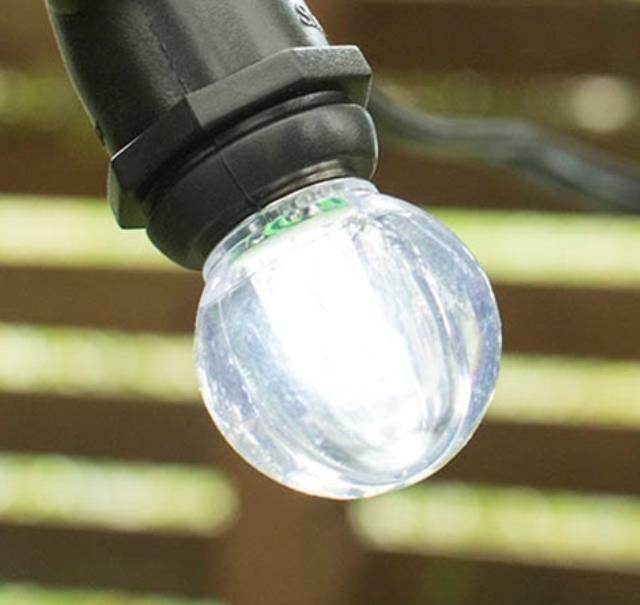 Sent with white LED bulbs; can be replaced with glass bulbs upon request. 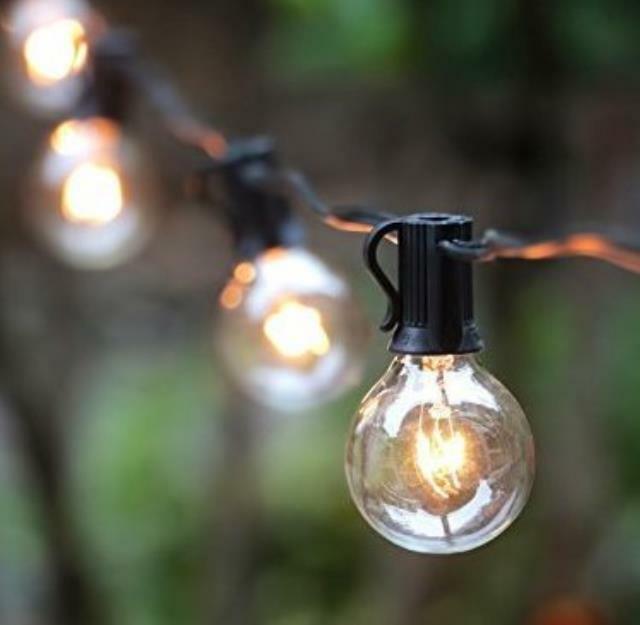 * Please call us for any questions on our market light 20 foot black strand rentals in Ft. Wayne IN, Warsaw, Syracuse, Auburn, South Bend, Indianapolis IN.